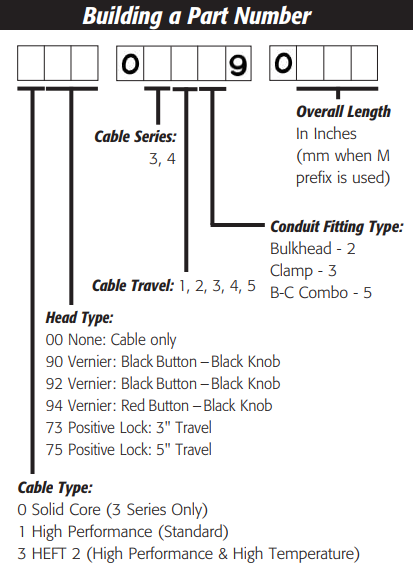 Vernier and Positive Lock cable control heads may be ordered as a complete assembly (head and cable attached) or separately. Order the desired control head using the two-digit number 90, 92, 94, 73 or 75. 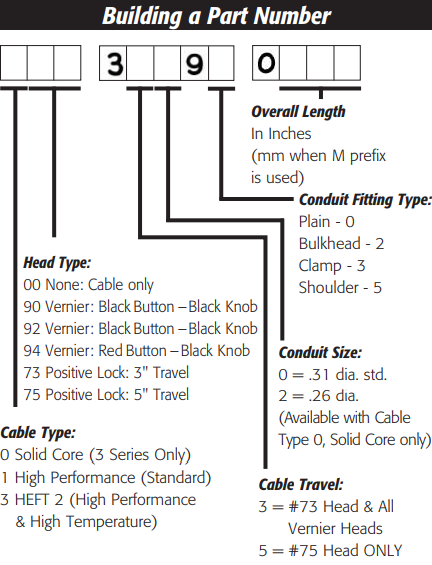 Order the cable using the five-digit number from “Building a Part Number.” To order a complete assembly, combine the control head number with the desired cable number. 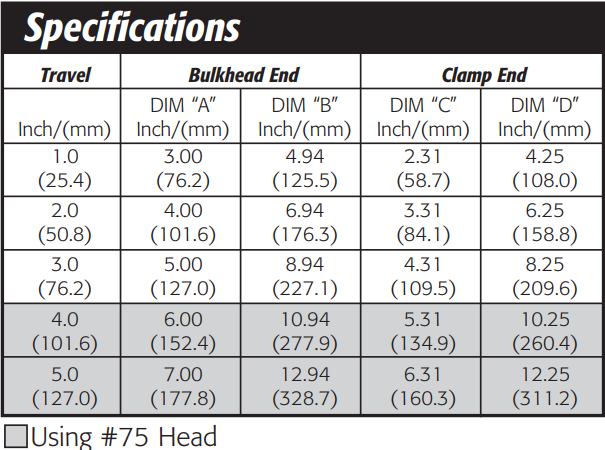 Example: if you desire control head #94 and cable #33092, then combine to make the assembly part number X94-33092-length.